Whether the track begins with dial tone or clattering utensils, every song eventually transforms into glorious collections of sound. 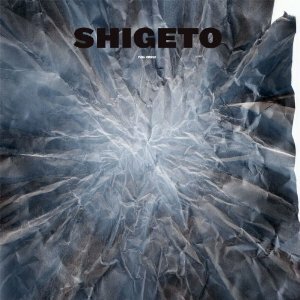 Shigeto has the breathtaking ability to put together noises of regular life over the most seducing grooves to generate an instrumental album set to stand out for its harmonies and crafty hip hop beats. Shigeto’s latest album, Full Circle, is a cacophony of robust tones, which provide the album’s inner beauty. Over buzzing bass lines and electrified guitars, echoes and hums create a visual, full-bodied painting of sound. Pops, fizzes, schizophrenic keys, all fit uniquely together over a bustling sonic vision. The vibrancy of Full Circle is its mixture of ambient rhythmic range. Composed of equal parts dub, IDM, and hip hop, there is a constant dizzying effect that delights in unimaginable melodies. “Children at Midnight” begins with an alluring, warm piano jazz riff that quickly gives way to break beats, clicks and snaps of sound scuffle. “Look At All the Smiling Faces” breathes a machinated breath of coolness over a seductive trumpet that loosely moves into a romantic sunset gasp of elegant keyboards. The song really just moves like the best dream ever.